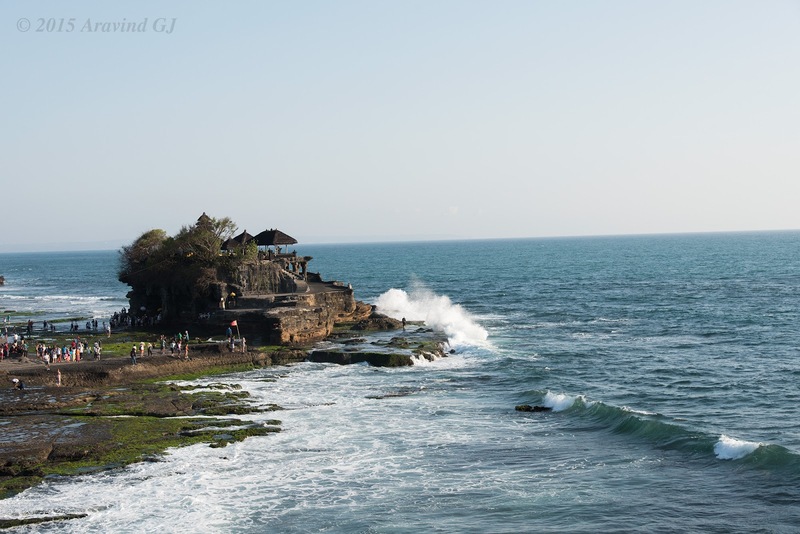 Tanah Lot is one of the sea temples in Bali. 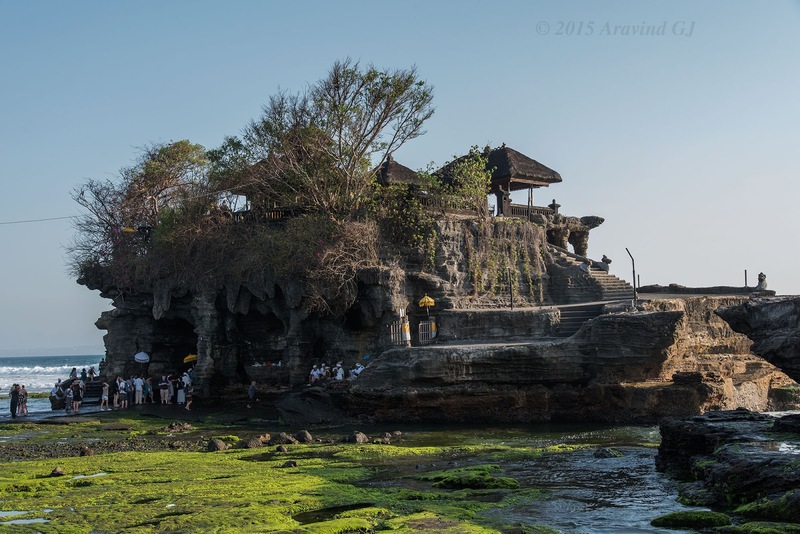 Located on an offshore rock, it is a great tourist attraction due to its location. People wrong during sunset time resulting in a fair like atmosphere. There are many vantage points to view sunset. 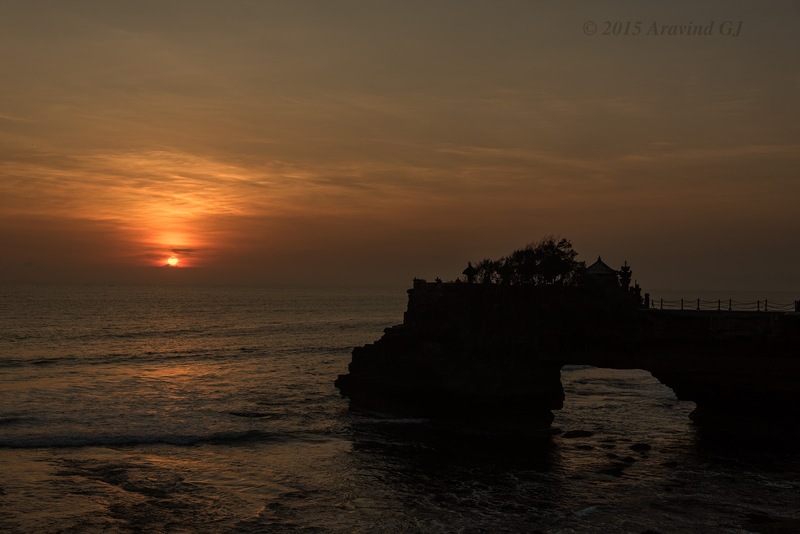 The one I shot was not at Tanah Lot but at the nearby temple Pura Batu Bolong. Interestingly, we came to know that the part of the rock is artificial. It is because that the rock started to crumble few decades ago and had to be restored with artificial rock support!! Standing in front of the temple, it is hard to believe that there is an artificial “thingy” in it. Love this temple for the lovely frame and famed sunsets. Looks like a beautiful place and nice photos, Aravind.